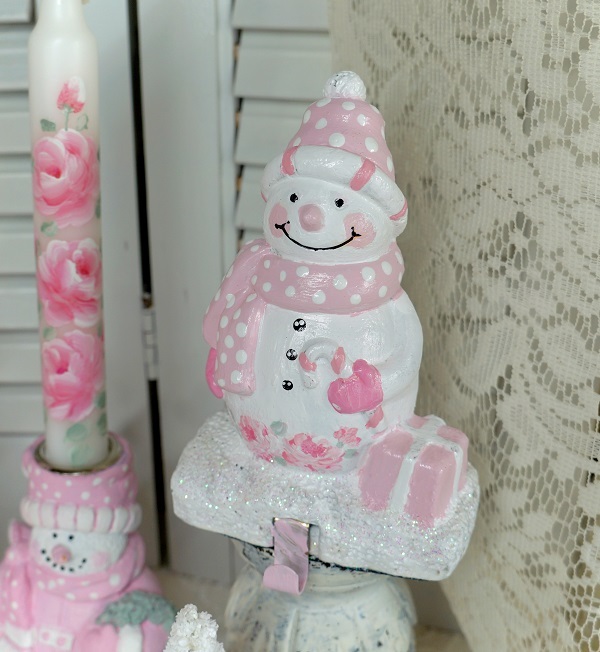 How cute are these shabby chic cottage snowman stocking hook/hangers. 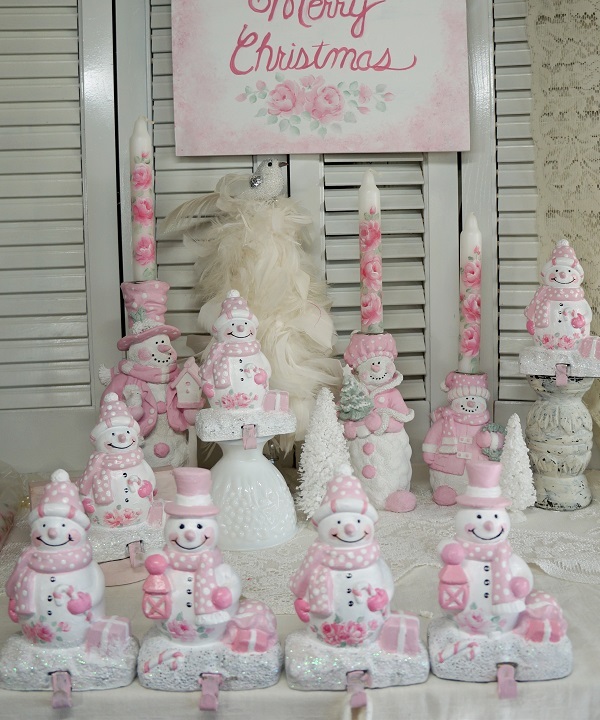 All hand painted in shades of pink. Then I added fluffy pink roses with pale green leaves. Great for a shelf, a mantle or even a windowsill. These are handy to hang Christmas stockings, peg hangers, sachets or punch a hole in the corner of your favorite Christmas cards, tie a ribbon and hang. This listing is for one snowman hanger.